On August 18, 1931, Henry Bosenberg was granted the patent for CLIMBING OR TRAILING ROSE US PP1. The climbing rose or “New Dawn” was the first plant patent granted by the United States Patent and Trademark Office (USPTO). According to the patent application the rose will “acquire considerable length and when given moderate support ‘climb’ and branch out in various directions.” New Dawn was also unique because it had a “true everblooming character” which is a long blooming period that most climbing roses do not have. One of the most popular species of plants the USPTO sees applications for are roses. In 2016, the USPTO granted 80 plant patents for roses with new and distinct properties. 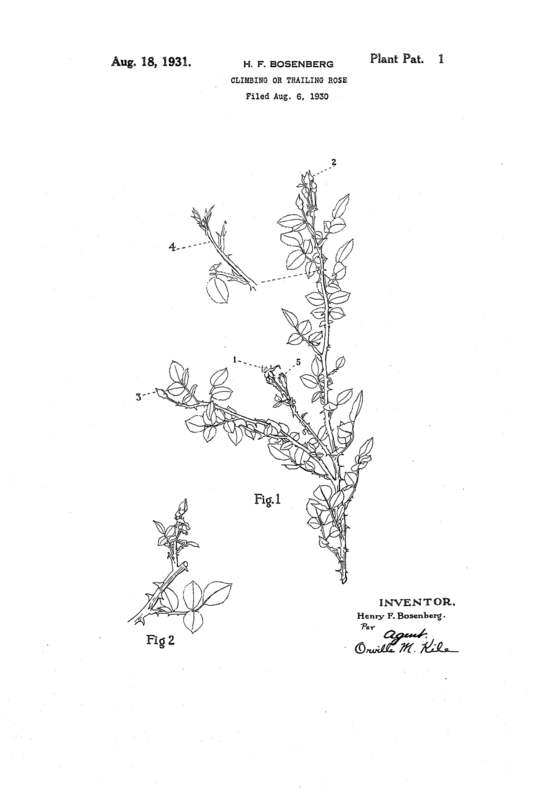 The USPTO has granted over 6,000 plant patents since 1931.